Five-octave pitch range. Ash cabinet. All the mind-blowing fun and sound of playing a theremin. 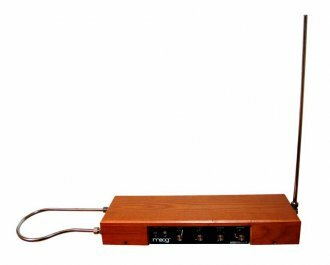 The theremin is one of the oldest electronic instruments -- and the first that you play without touching. Moving your hands in the space around its antennas controls pitch and volume. Like the Ethervox, the Etherwave is an authentic adaptation of inventor Leon Theremin's original design. 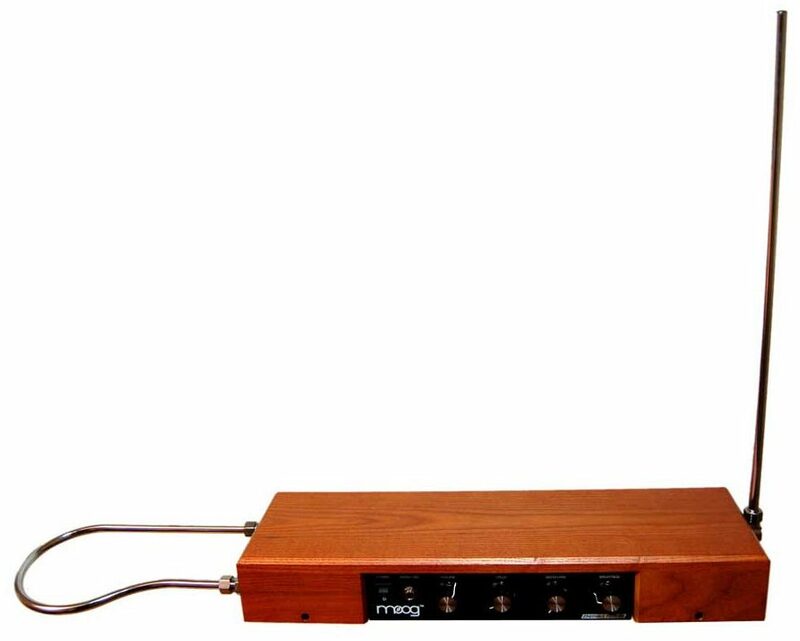 The Etherwave is a quality theremin with a design that retains many characteristics of the original theremins, including a five-octave pitch range and reliable spacing between notes for sophisticated playability. Antennas are nickel-plated 3/8-inch brass tube and cabinets are furniture-grade hardwood, finished black. The Etherwave is fitted with an adapter for mounting on a standard microphone stand and is designed for use with a musical instrument amplifier such as the Moog TB15. The Etherwave is shipped with a DVD that contains two Video tutorials: Mastering the Theremin with Lydia Kavina, and Clara Rockmore, the World's Greatest Theremin Virtuosa. Audio Out - standard 1/4 in. phone jack, which delivers line level output to your amplifier. ***Just like electric guitars and many keyboards, theremins require amplification. While the Etherwave Theremin Amp is recommended, most keyboard amplifiers or PA systems should also be sufficient.